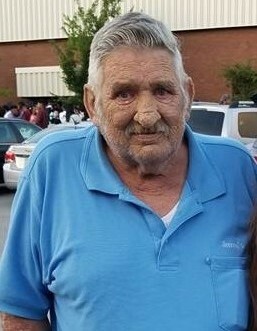 Sumter, SC…Robert Joseph Robinson, age 72, beloved husband of the late Margie Lew Abbott Robinson, died on Monday, January 28, 2019 at McLeod Health Clarendon. Born in Montgomery County, PA, he was the son of Anna McAleer Robinson and the late Thomas Robinson,Jr. Mr. Robinson served in the US Air Force and retired as Tech Sergeant. He went on to work and retire from Bosch. He always worked hard and provided well for his family. He loved his family especially his grandchildren. Mr. Robinson was a member of the American Legion Post 3034 and was a level 3 Knights of Columbus. Surviving are one son, Robert J. Robinson, Jr. and his wife Sandy; one daughter, Kim Robinson all of Sumter; one brother, Thomas Robinson and his wife Elaine of Malvern, PA; one sister, Mary Ann Robinson Rhoads of New Jersey; eight grandchildren, Kendall, Hailey, Amanda, Amber, Jay, Tomy, James, and TJ; and five great grandchildren, Mykell, JB, Braelynn, Maryann, and Sophia and one on the way. The family will receive friends on Saturday, February 2, 2019 from 4:00-6:00 pm at Bullock Funeral Home with full military honors.